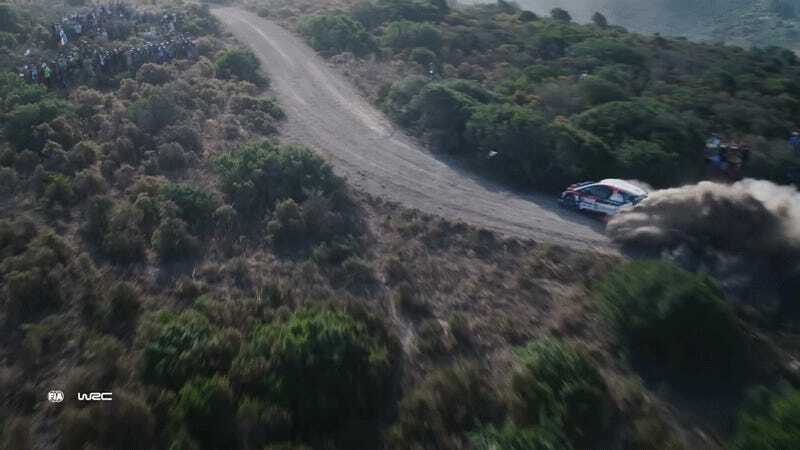 The World Rally Championship visited Sardinia earlier this month, a rough, high-flying event that ate at least one drone. Here’s the (non-crashing) footage that made one drone’s demise worth it, at least in my eyes. It’s almost like drones were made specifically to shoot rallying—the clear view, covering rough roads at full speed through narrow, twisting mountain cuts. A big part of why we’re in a golden age of rally footage, of rally appreciation I would guess, is down to these aerial shots. Now I just wish that DJI would release the footage of the drone getting eaten by Esapekka Lappi’s Toyota on that jump.